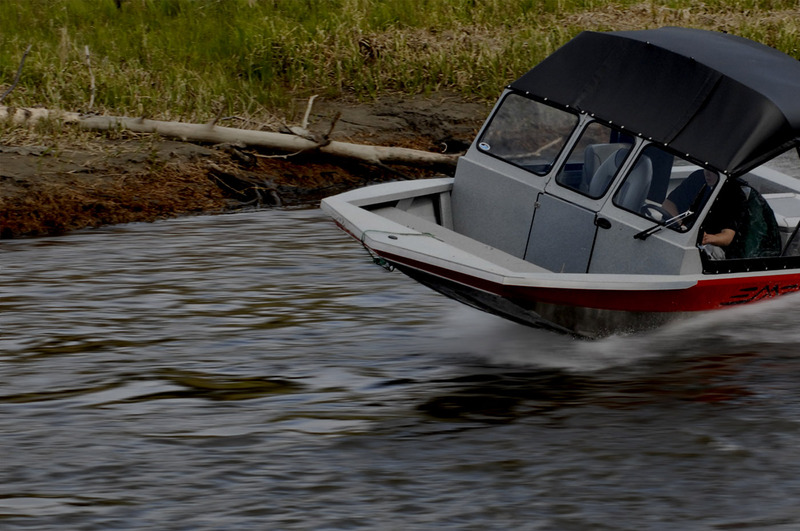 Interested in a new boat purchase to get the most out of your Alaskan summer? Apply online today during our Spring Boat Special! Explore everything that our great state has to offer, or just get down to Anchorage for a weekend with a new or used Recreational Vehicle or camper. And if you are ready for some serious fishing, hunting or fun on the water, it’s time for a boat and trailer. Create memories and experiences with a loan from Spirit of Alaska Federal Credit Union. You can start your loan and close at a dealership if you prefer one-stop shopping! Apply now for pre-approval from your computer, mobile phone, tablet, or in person with one of our friendly loan officers. More questions? Contact Consumer Loans at 907-459-5970. A loan to finance the purchase of a boat package, travel trailer, camper or RV.
" I just got off the phone with C.A. I pre-approved him for a enclosed trailer loan. He commented that everyone at the credit union has just been wonderful to work with." *Lowest interest rate available, including promotional discount, is 5.00%. Annual Percentage Rate, on approved credit. Loan fees vary, and will be disclosed at the time of the loan verbally and in the contract. See the Rates tab on this page for complete rate and fee details. **Promotional rate is for qualified “A” grade borrowers on new boat purchases financed with Spirit of Alaska FCU. Not available on separate items or re-finances. Applications must be approved during the promotional period of 4/3/2019 – 5/15/2019 and contract signed within 30-days of approval. * APR = Annual Percentage Rate. Current as of 20 April 2019. Up to 100% financing available, some restrictions may apply. Interest rates and terms dependent on credit qualifications. Interest rates on new loans for Motorhomes, Travel Trailers, Pickup Camper Combos, Boats and Trailer packages are subject to change at any time. Loans under $2000 may have substantially higher APR. Optional Spirit of Alaska Protection and GAP Coverage available. I already have an loan with Spirit of Alaska. How do I inquire about my insurance coverage? For inquiries, or to change your insurance information, visit www.imcovered.com/spiritofak, or call 866-201-0921. You can also fax your policy to 866-895-2553. Would a boat trailer be a higher rate than a boat? We recommend buying a boat and a trailer together for your best recreational vehicle rate on the loan. Purchasing a transportation trailer by itself is classified as a different type of loan with higher rates. Can I skip a payment on a recreational vehicle loan? Yes. Come in to any of our branches or download and fill out an Automatic Payment Authorization form.